Leicester are entering one of the most monumental weeks of their existence with an arm tied behind their back. 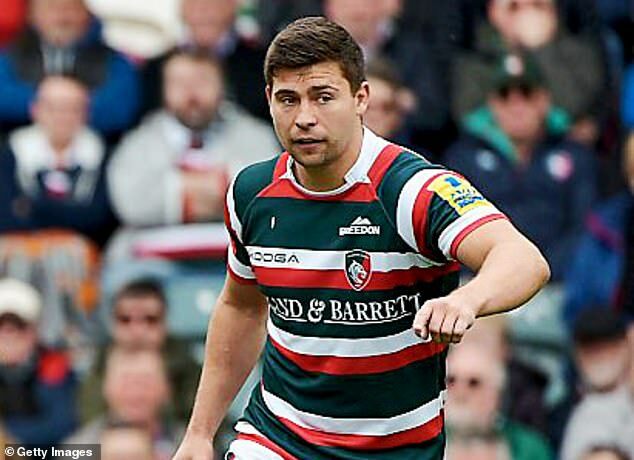 England scrum-half Ben Youngs is out for the rest of the Tigers’ worst season in living memory with a shoulder injury — which the club say he picked up with the national side. He will be sidelined for 12 weeks, which is a blow for England with stand-in Dan Robson already out. Even worse, Ben’s brother Tom could be banned for the run-in as Tigers bid to avoid the humiliation of Premiership relegation. The 32-year-old captain will surely be cited on Monday after he was sent off for a shoulder charge to the head of Exeter’s Ollie Atkins. The offence carries a suspension of six weeks. Lose badly on Friday night to Newcastle, led by Dean Richards — who helped Leicester win two European Cups and four Premiership titles — and they could end up bottom if Worcester beat Sale. ‘It doesn’t rain, but it pours,’ said head coach Geordan Murphy. ‘We’re in a tough spot. We’ve lost Ben for the season and hopefully disciplinary will be fair on Tom’s case. We’ve lost Kyle Eastmond to a torn hamstring. Having conceded the most points in a league game since 1988, Murphy realised the seriousness of Leicester’s situation. ‘It’s a precarious position,’ he said. ‘It’s really tight, teams in and around us have tough runs. We just focus on one game at a time. 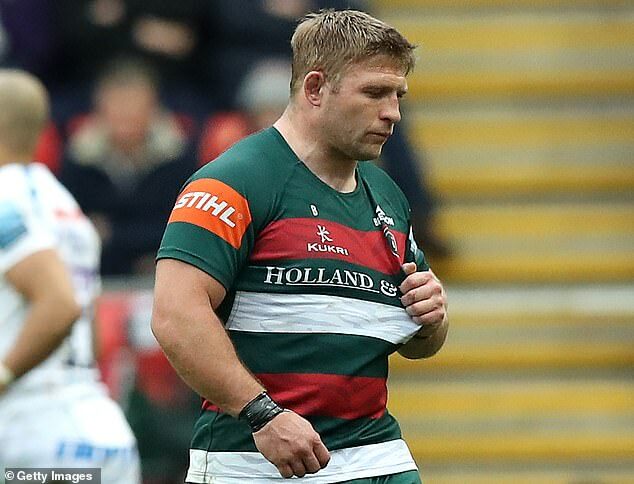 Leicester have now lost 17 games in 20, conceding more tries than any other side in the league this season with 69. 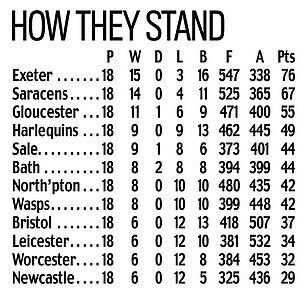 The only consolation was that their relegation rivals — Newcastle, Bristol and Worcester — all suffered defeats as well. All four sides have won just six games this season, but they are only separated by bonus points. Meanwhile Sportsmail understands the prognosis on Joe Cokanasiga’s shoulder injury is positive and he is set to return for the end-of-season run-in.